Composed of three challenging endurance disciplines, swimming, cycling and running, Triathlons are a demanding sporting competition popular all over the world. 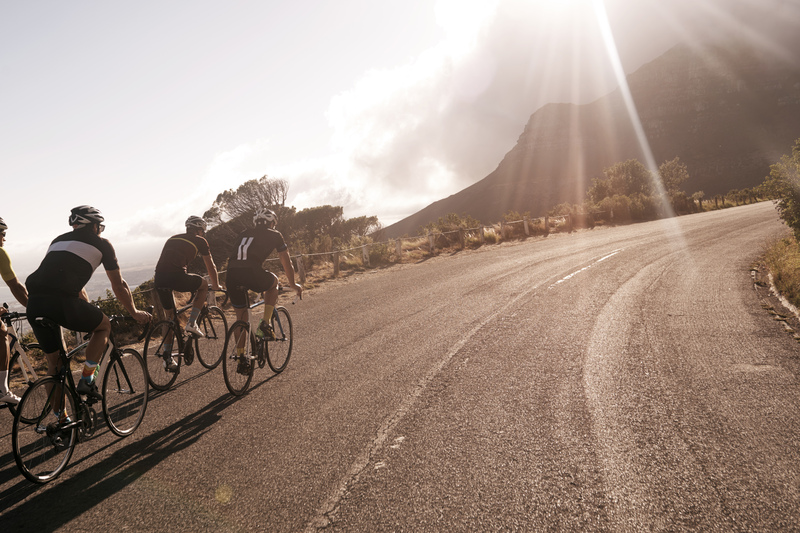 Whether you’re a triathlete or just a big fan of the competition, Booking.com, the global leader in connecting travellers with the widest choice of incredible places to stay, shares six exhilarating destinations to experience some of the world’s most thrilling, and beautiful, Triathlon races. Start training now to raise your fitness level and challenge yourself to be part of one of the most exciting experiences you can have as an athlete. Alternatively, these beautiful destinations are also perfect for simply soaking up the energy as a spectator and, who knows, you could even be inspired to participate next time! The 16th annual Vancouver Triathlon takes place at the world-renowned Stanley Park. This triathlon shuts down the park to allow participants a closed road course. 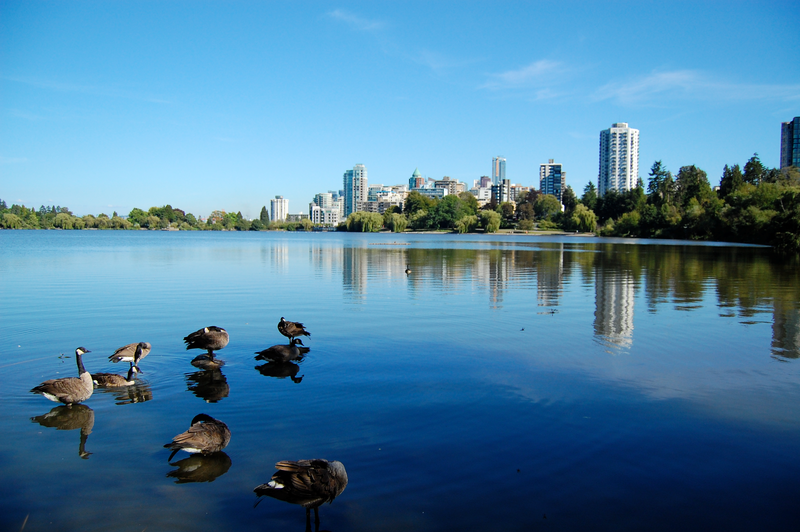 The race starts with swimming through the beautiful English Bay, biking along breathtaking Park Drive and finishing off with a run under Beach Avenue and around the south side of Lost Lagoon. 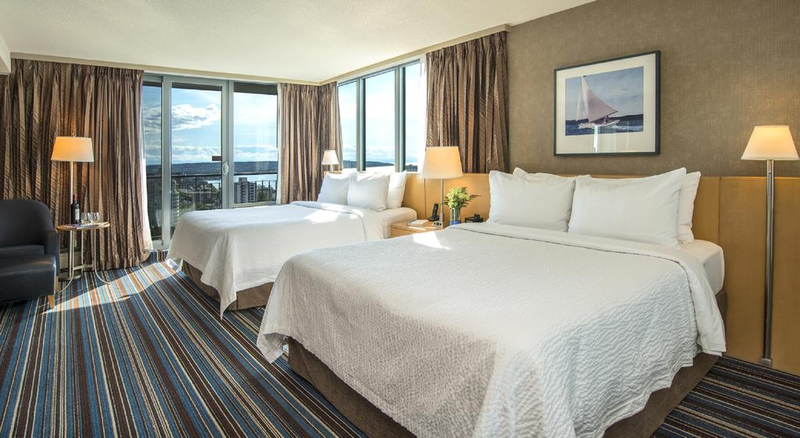 Located in the heart of Vancouver, the Blue Horizon Hotel is the perfect place to relax after a tiring day. Each room includes a full balcony with a view of the city or the Vancouver skyline and their location on Robson Street is steps away from the best shopping and restaurants in the city! 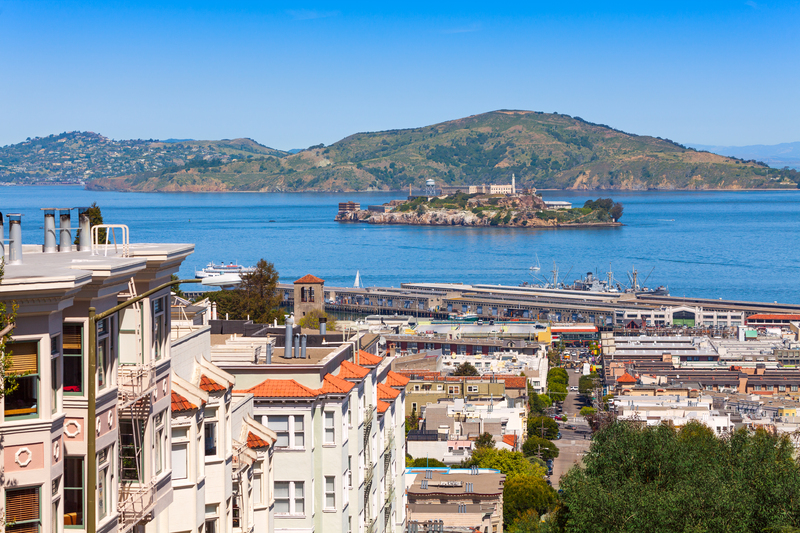 The Escape from Alcatraz is one of the most popular triathlon races in the USA. The first race took place back in 1981 and since then triathletes from all over the world gather to San Francisco every year to “escape” Alcatraz by swimming 1.5 miles from Alcatraz Island in the San Francisco Bay, biking for 18 miles at the Great Highway, through the Golden Gate Park and run for 8 miles through the Golden Gate National Recreation Area. The Argonaut Hotel, a Noble House Hotel is less than 2 km away from the Marina Bay, where the race finishes. 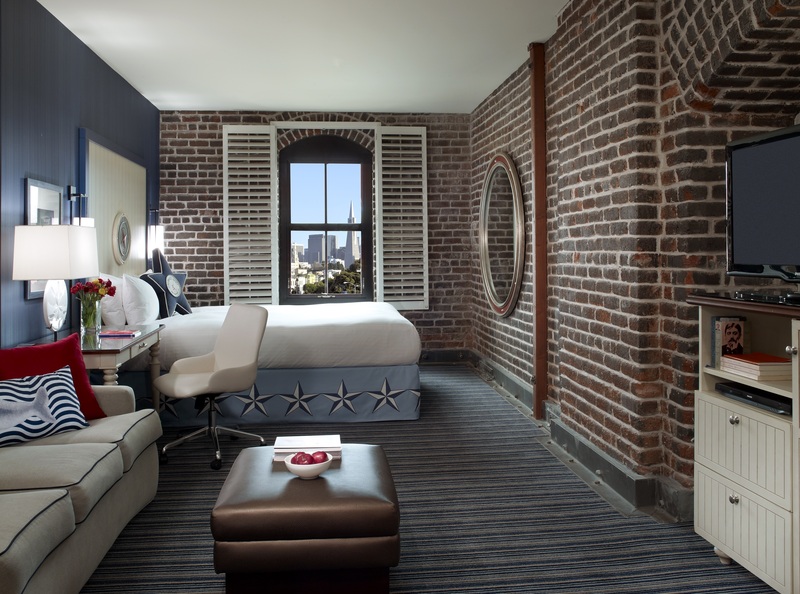 This eco-friendly hotel offers beautiful views across the San Francisco Bay, nautically-themed rooms and a traditional seafood restaurant. 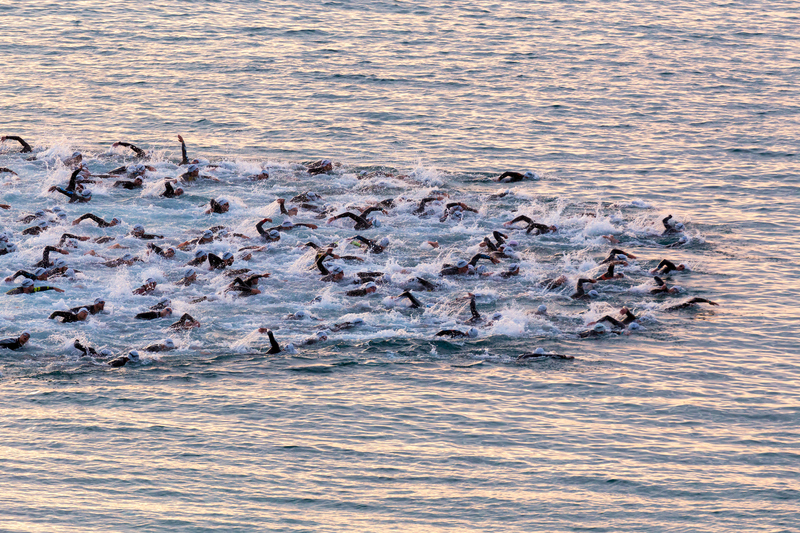 Taking place through striking scenery, the Alpe d’Huez EDF Triathlon will open with a swimming race at the blue waters of the artificial reservoir of Lac du Verney. The biking part of the race includes three breathtaking (and challenging) mountain passes, the Col de l’Alpe du Grand Serre, the Col d’Ornon and finishes with a climb of 21 bends to the Alpe d’Huez, where the running starts. 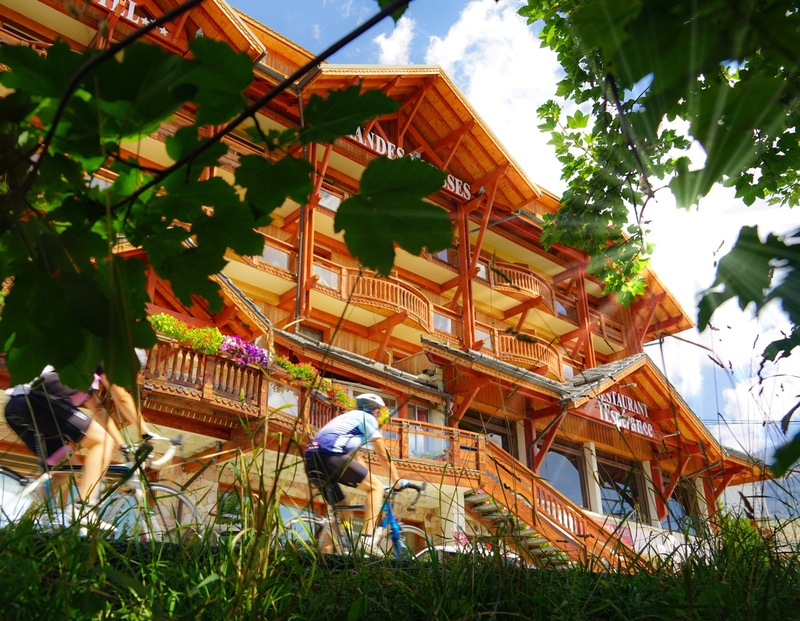 Set near the centre of the Alpe d’Huez, at the foot of the mountains, the Grandes Rousses offers comfortable rooms with mountain views, an onsite restaurant, and a spa centre with sauna and hot tub, perfect for recovering after a challenging triathlon! The Ontario Women’s Triathlon is the first triathlon in Canada for women only, and is predicated on celebrating women in sports. Typically held in Georgina, Ontario, this year’s location has switched to Toronto Island – a secluded, lush escape from the hustle and bustle of the city. The triathlon will open with a 500m swim in the refreshing Lake Ontario, followed by a 20km bike ride through the scenic trails of the island and then ending off with a gratifying 5km run. 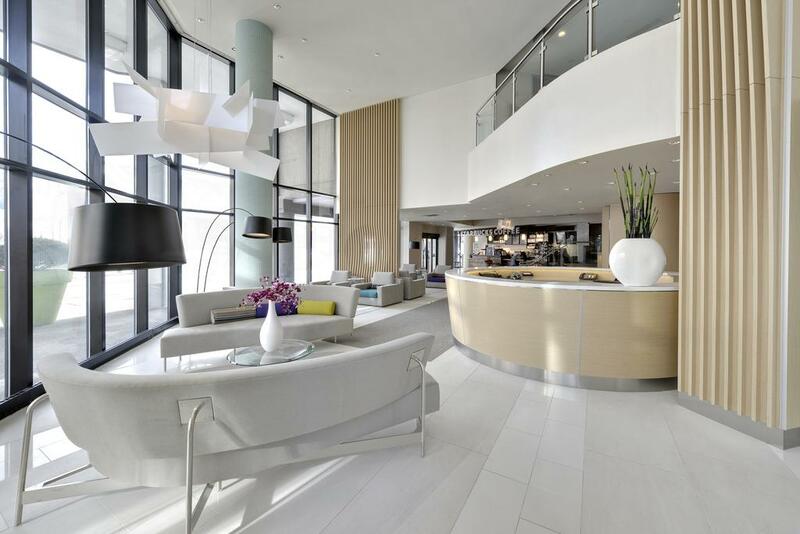 When you’re ready to relax after a long, exhausting day make sure to stay at the luxurious Radisson Admiral Toronto Harbourfront. 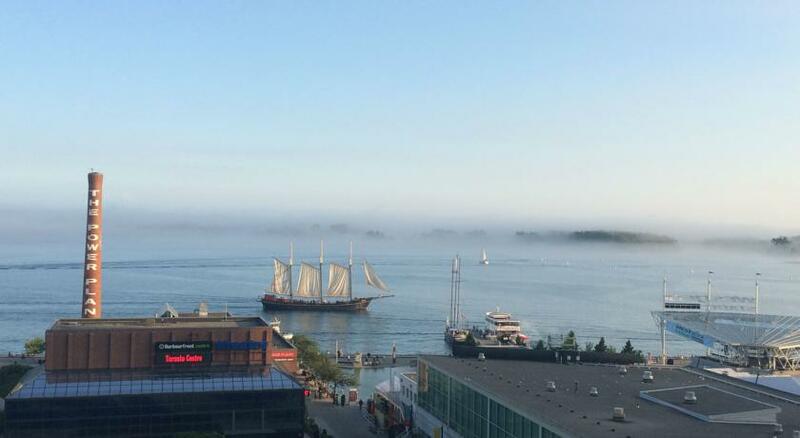 Located in the heart of the city, this hotel is only a 3-minute walk from the Harbourfront Centre – where the ferry to Toronto Island will pick you up and drop you off. Taking place in one of the most beautiful places in the world, on the Big Island of Hawaii in Kailua-Kona, this Ironman race is only for athletes at the top of their fitness game with the motto “Anything is Possible”. The challenging race starts at the crystal blue waters of the Hapuna Beach State Park and includes swimming in Kailua Bay, biking along the Queen Ka’ahumanu Highway and running through Ali’i Drive, up to the finish line at the Natural Energy Laboratory Hawaii Authority (NELHA). 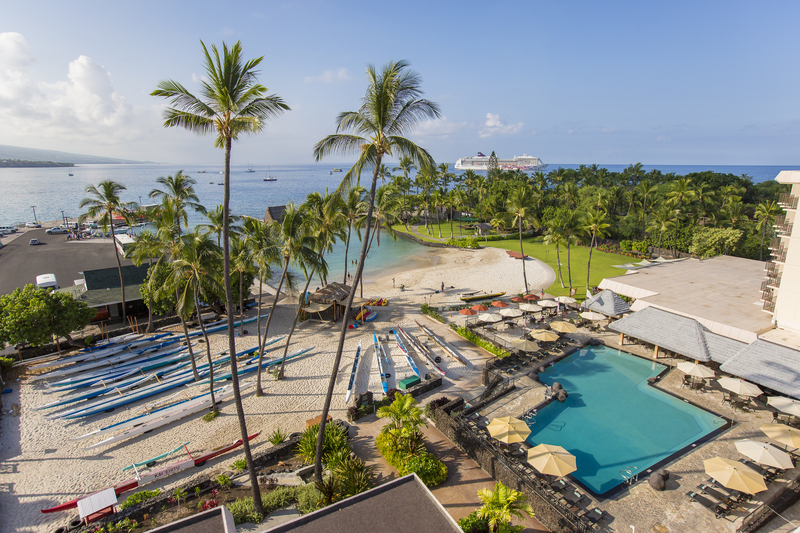 The Courtyard by Marriott King Kamehameha’s Kona Beach Hotel is just a 2 minutes’ walk from the beach and is the perfect place to recover after the thrilling race, thanks to its comfortable air conditioned rooms, the outdoor pool and the beach restaurant. Known as the largest triathlon race in the world with thousands of spectators every year, The AJ Bell London Triathlon will start at the ExCel Centre, Victoria Docks and will take its triathletes through London’s most historic landmarks including the London Eye, Westminster and the London Bridge. 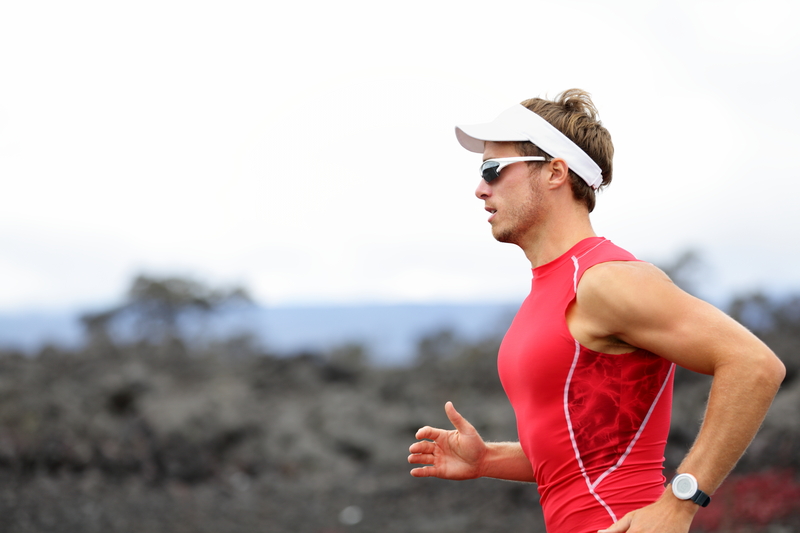 The race is associated with a variety of charities which the participants can fundraise for. 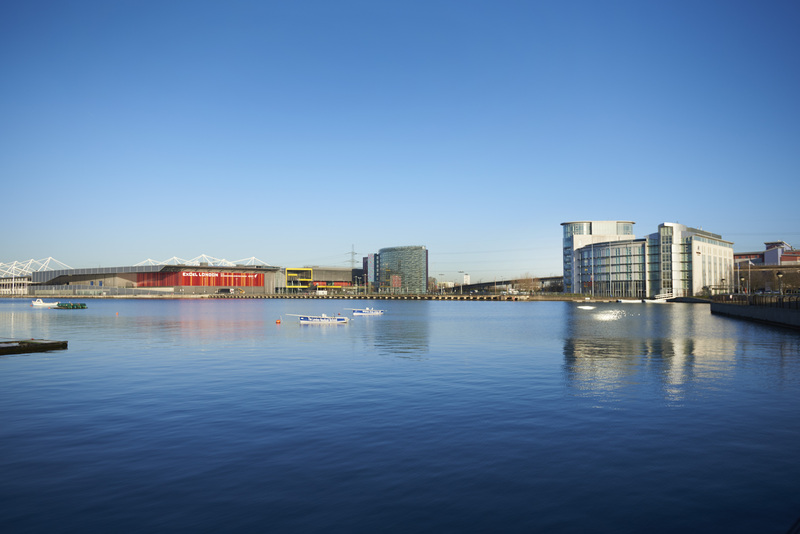 Situated on the waterfront, just 900 metres away from the start at the ExCel exhibition centre, the DoubleTree By Hilton London Excel is a modern hotel with bright rooms overlooking the water, a fitness room with cardio equipment and a restaurant serving Italian dishes – ideal for carb loading before the big race! Taking place on the Gold Coast, Queensland, the ITU World Triathlon Gold Coast starts on the 8th of April, 2017 and it is the second race of the World Triathlon Series opening on Dubai during March 3rd. 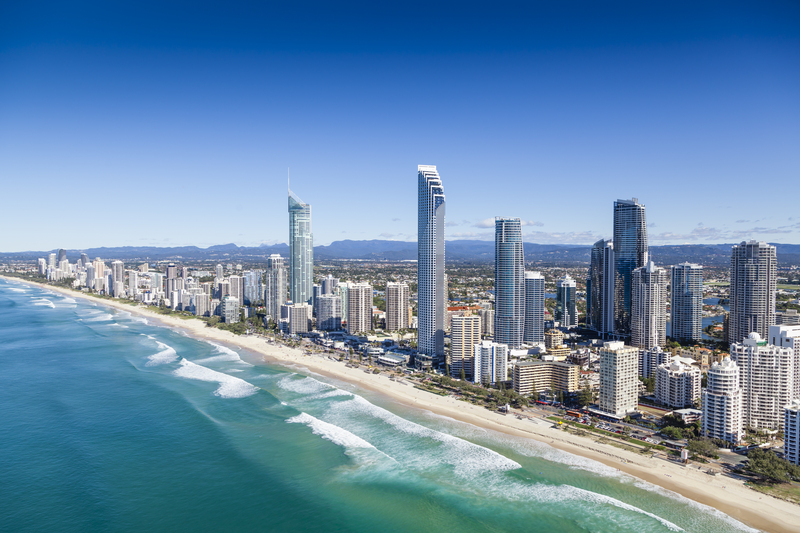 The venue of this exciting race is the Broadwater parklands, located near stunning Surfers Paradise. 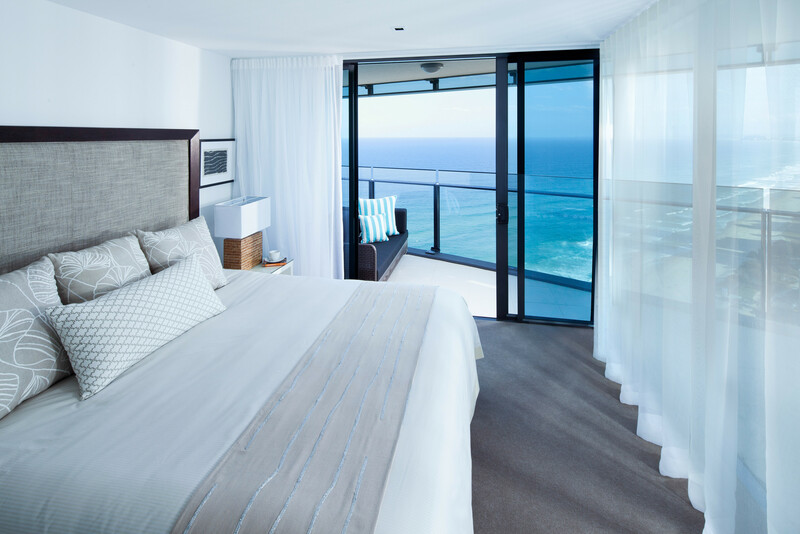 Situated only one minute away from the beach, the Peppers Soul Surfers Paradise boasts seven floors with modern rooms, featuring floor-to-ceiling windows overlooking Surfers Paradise Beach. Guests can relax in the sauna or at the poolside terrace after the race.